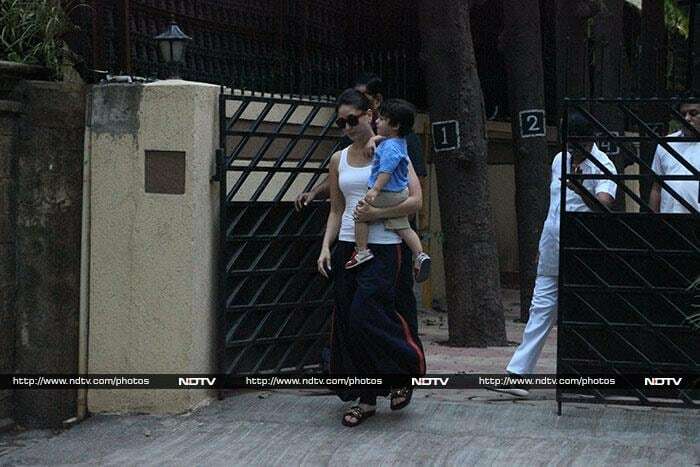 Busy star Kareena Kapoor and Saif Ali Khan were spotted in Bandra with baby son Taimur. 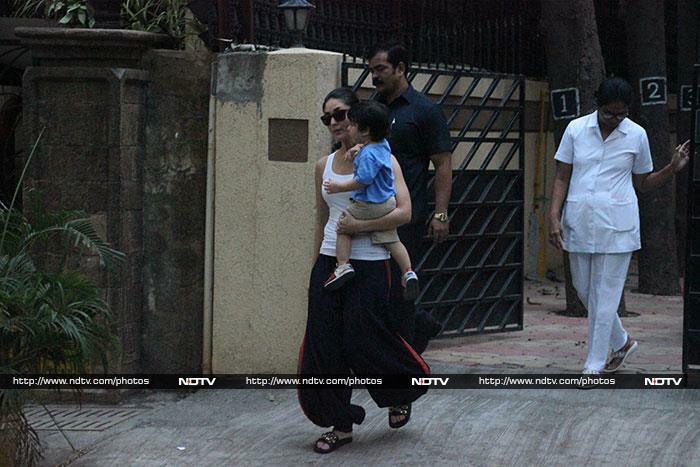 How adorable is baby Taimur? He was plonked safely in Kareena's arms while she navigated. Saif Ali Khan was photographed exiting the house after Kareena and Taimur. Saif's daughter Sara Ali Khan was also photographed exiting her gym. On the work front, Sara is currently busy with the promotions of Kedarnath. Later in the day, Kareena was also spotted heading to the gym. Kareena was with her gym partner Malaika Arora. Ileana D'Cruz also stepped out in Mumbai on Monday. Dressed in casuals, Shraddha Kapoor was spotted in another part of town. Meanwhile, Gauri Khan, who just hosted a Diwali party, was spotted at Korner House in Bandra.